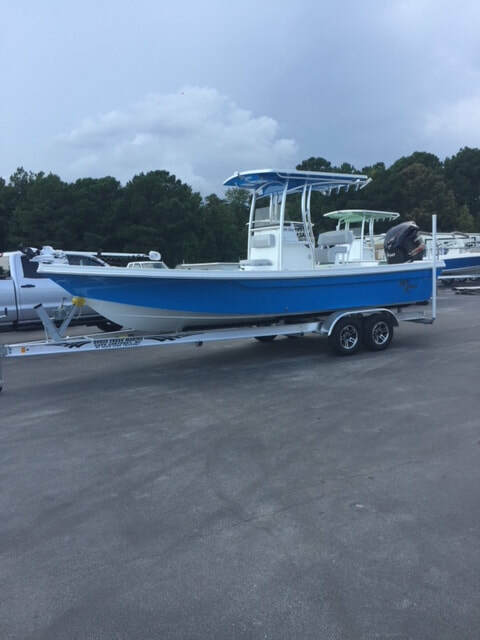 Offering in-shore charters - Speckled Trout, Flounder, Red Drum, Spanish Mackerel, SheepsHead, Black Drum, Blue Fish and Spots. Tour the Crystal Coast of North Carolina. Areas included Swansboro, Emerald Isle, Morehead City, Beaufort and surrounding islands. Take up to 4 children + 2 adults for a pirate adventure. Includes allowing the birthday child to assist in driving the vessel to a buried treasure chest on a remote island that they have to find by map. Such an awesome video from one of our recent charters with the Agra Family. Wait for the fishing part - so much fun!!! Pirates Life 4 Us Fishing Charters bringing the happiness!!! So thankful that they shared this family video with us. The Breeden/Porter family chartered a Pirate Adventure Party for their 3 year old and 8 year old children. The grandparents came along and everyone enjoyed searching for treasure with a map and had to dig up a real treasure chest buried on a local island. While we were voyaging we saw a huge manta ray jump 8 ft into the air and a school of dolphin swimming. Lots of memories made - so much fun. Captain Tim held a drawing for a free Pirates Life 4 Us Fishing Charters T-shirt at Emerald Isle Beach and Pool Club. Had a lot of entries - only one winner. Congratulations Lyn Gray of N. Chesterfield VA! Every ride is an exciting ride on the Pirates Life 4 Us Jet Boat!! I'm very glad my family and I chose Capt. Tim Johnson to take us out fishing. My father-in-law came to visit us and wanted to go fishing. I have a boat and we are local residents of Carteret County and have absolutely no knowledge of how or what to fish for. Capt. Tim took us out and impressed me with his knowledge of the inland waterways, not to mention the GREAT spots for fishing. He is a family oriented Christian family man, which always impresses me in this day and age! My kids and father-in-law loved him. Oh yea, we caught a boat load of fish!!! My family plans to use Capt. Tim from now on.